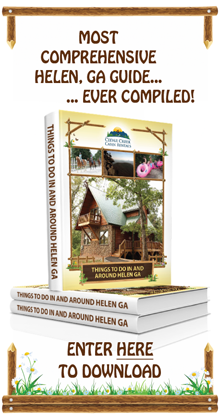 Did you know that Helen is located right in the heart of Georgia's wine country? Some of the finest wines produced in the nation have their beginning right here in Helen and its neighboring cities. 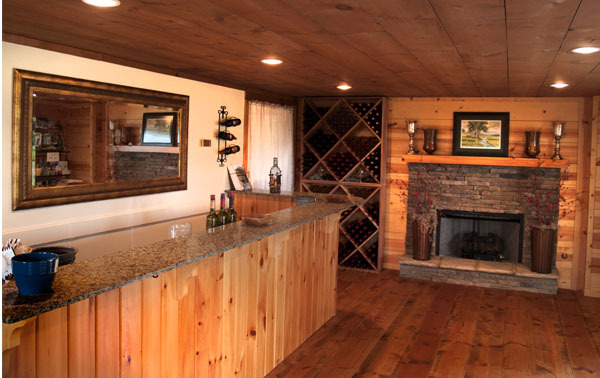 Amongst other notable wineries and vineyards situated in our locale, Sautee Nacoochee Vineyards stands out as a family owned and operated business, dazzling patrons with exceptional wines since it first opened its doors. Surrounded by breathtaking scenery of the hills and valleys for miles around and an expansive vineyard, the winery has become a hot spot for locals and visitors looking for a wonderful and welcoming wine tasting experience. You definitely don't want to miss out on visiting Sautee Nachoochee Vineyards during your trip to Helen. Sautee Nacoochee Vineyards were founded and established on the principle that wine should be produced by small, family-operated vineyards - just as they are throughout much of Europe. When grapes are tended to with love, passion, care, and dedication, it becomes easy to generate refreshingly crisp and flavorful bottles of quality local wine. Although Sautee Nachoochee Vinyards is proud of creating interesting and complex products, nothing is ever over-complicated. Simplicity is the hallmark of this charming establishment, allowing patrons to get "back to the basics" and find peace, harmony, and a connection to the earth with every glass. Variety is the spice of life, and Sautee Nachoochee Vineyards strives to offer an array of incredible wines, grown from both domestic and European grape varieties. All of the grapes are pruned and harvested by hand, just as with the winemakers of the Old World. It is with a spirit of tradition that each bottle of wine is produced with its on unique personality and appeal. Regardless of whether you prefer red wine, white wine, or unique flavor, there's something for everyone at Sautee Nacoochee Vineyards. One of the most popular bottles available is the Sautee White 2010. 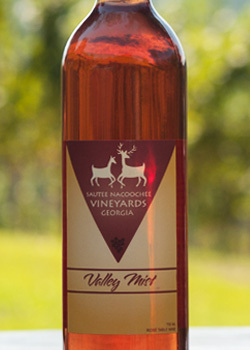 Featuring 100% Georgia grapes, this particular variety of wine is extremely crisp, smooth, and is the perfect blend of Chardonnay and Viognier. And speaking of Viognier, the vineyard's Viognier 2010 is more than initially meets the eye. Fruity and clean, the wine is quite versatile. Although it looks like a white wine, it drinks like a red. And you simply cannot visit a Georgia winery without tasting the Georgia Muscadine. Sweet yet sophisticated, this variety is a top seller. Red wine lovers will not be disappointed by the vineyard's Nacoochee Red 2010. A special blend of Cabernet Sauvignon and Merlot, this wine offers just a hint of pepper and is excellent with Italian cuisine. You might also enjoy sipping a glass of Cabernet Sauvignon 2010 - especially if you're in the mood for a softer wine with fruity undertones. Want something unique? Ask about the vineyard's Red Headed Stepchild. With a healthy mix of subtle, blushing valley sweetness and sassy robust flavor, this fruity and sweet wine is a "must try"! Sweet & Sassy is also a great wine, offering real "fun in a bottle". Sautee Nachoochee Vineyards admits that this particular variety might break a few rules, but this carefree red wine is surprisingly light and fruity while still featuring the richness of Merlot. Do you prefer a wine that meets you in the middle? Don't forget to try Valley Mist. This variety takes its inspiration from the tranquil beauty of the Sautee and Nacoochee Valleys, reflecting the glory of nature in its aroma and flavor. This semi-sweet rose wine is crafted from the Merlot grape. So, are you ready to head on over to the vineyards and start tasting some of the excellent, locally-grown wines on offer? Fortunately, the Sautee Nachoochee Vineyards Tasting Room is located just a stone's throw away from downtown Helen and your vacation cabin. On your journey to the winery, you'll be dazzled by the dramatic landscape of the Sautee Nachoochee Valley, surrounded by the majestic northern Georgia mountains. It's the perfect atmosphere for relaxing and enjoying a glass of wine. When you visit Sautee Nachoochee Vineyards, you'll have the opportunity to visit with the winemaker to see just how its done. The tasting room is open to the public for tastings so that you can check out all of the different flavors before settling on which bottle to purchase to take back to the cabin for a romantic evening in (don't forget to pick up an extra bottle for friends on your souvenir list!). Or you might choose to buy a glass of your favorite variety to sip as you take in the vines and pastures of the valley from the vineyard's large outdoor deck. Which locally produced Helen wines are your favorites? Share your tips with future guests and wine enthusiasts.